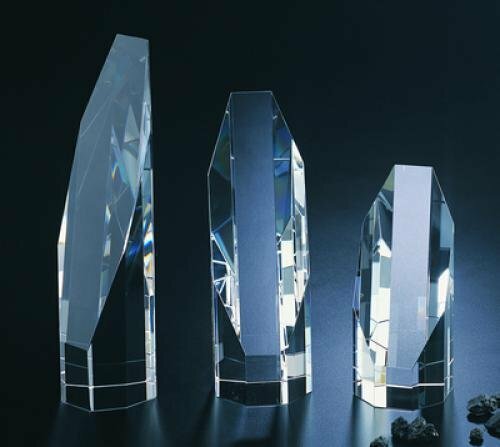 Our Crystal Octagon Tower is available in 3 sizes with the tallest be 10" H. All come in a blue velvet box. 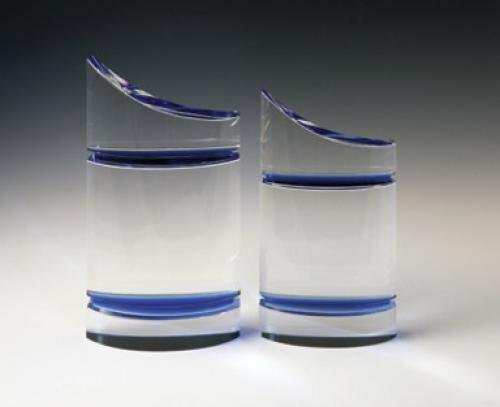 Our crystal Sparkle Awards come in 2 sizes with the tallest being 9" High and combines clear and cobalt blue optic crystal. 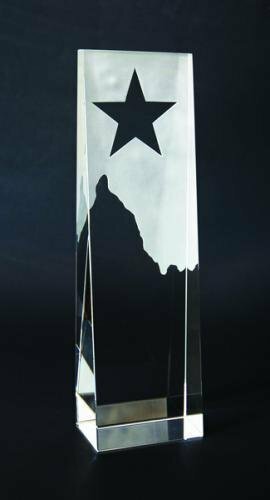 8" H x 4 1/2" W x 1 3/16" D, etch area 4.5" x 3.75"
9" H x 5" W x 1 9/16" D, etch area 5" x 4.5"
Our Crystal Star Tower on Wedge is 10" tall with the star already deeply engraved. 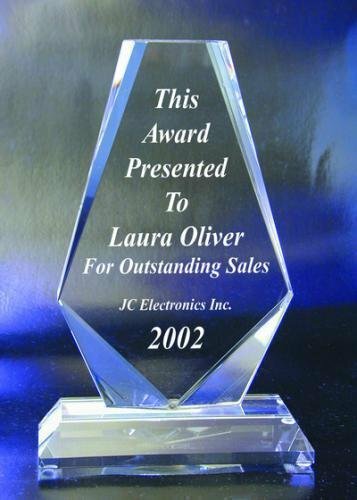 This award comes in a blue velvet gift box.